My adventures in quilting began more than twenty years ago. While learning a variety of techniques, I created traditional quilts for family and friends. Most of the quilts were of the scrappy variety because I loved the process of playing with color and design. 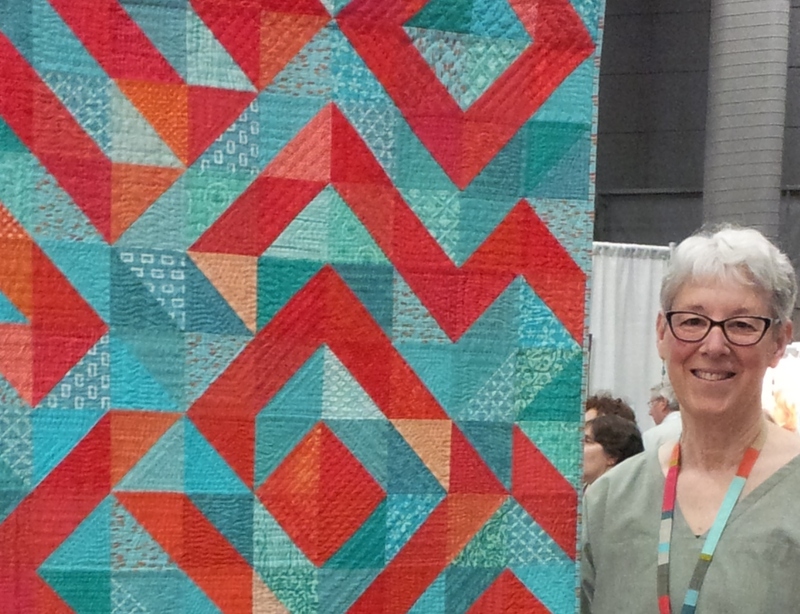 A turning point for my quilting began when I took a series of workshops from my friend and mentor, Pat Oden. We did a series of exercises exploring lines, shapes, and color and I learned how to cut without a ruler. Pat also taught me how to dye my own fabric. Oh, the possibilities! My process became primarily improvisational, and I began to create art quilts. For the first time, I began to exhibit my work in some local fiber shows. 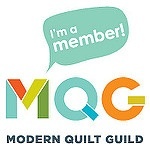 I joined the Modern Quilt Guild and began combining this improvisational style with traditional techniques like hand quilting to create functional quilts with a modern aesthetic. In 2015, I started a small home based business, Penny Lane Quilts. It offers unique, quilted home decor items created from hand dyed fabrics, linens and other specialty fabrics. Each item is carefully constructed using quality materials and expert craftsmanship. 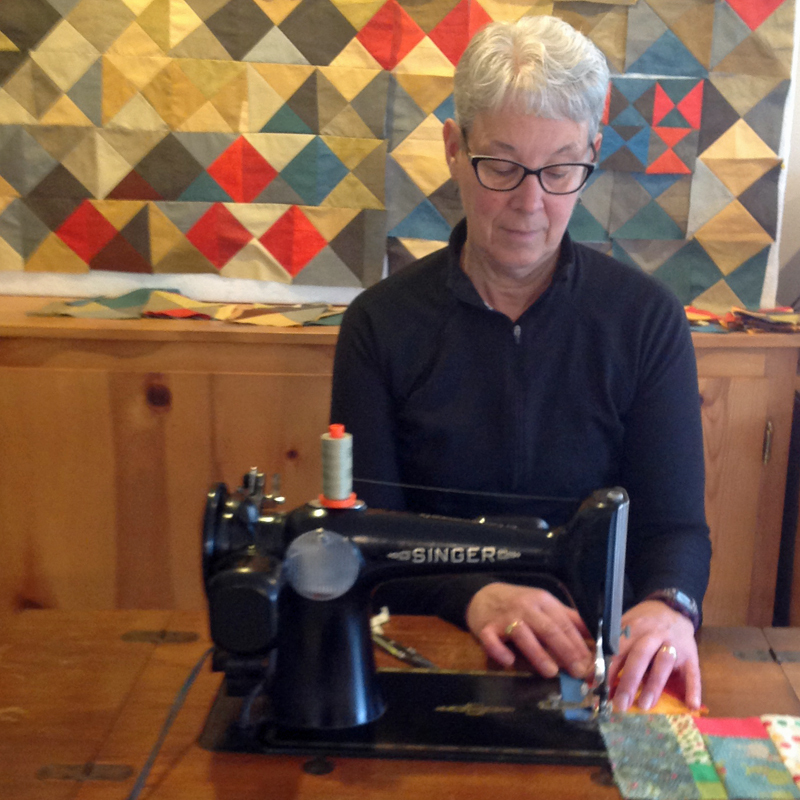 I enjoy using my vintage sewing machines to stitch colorful quilts, pillows, table runners, place mats, potholders and coasters with a modern flair. It gives me pleasure to create products to brighten your home or office.